15,000 sonic vibrations to remove makeup and impurities. Smart regime with optimal speed and timer for different skin zones. Industrial grade water-proof (IP67) and wireless recharging. 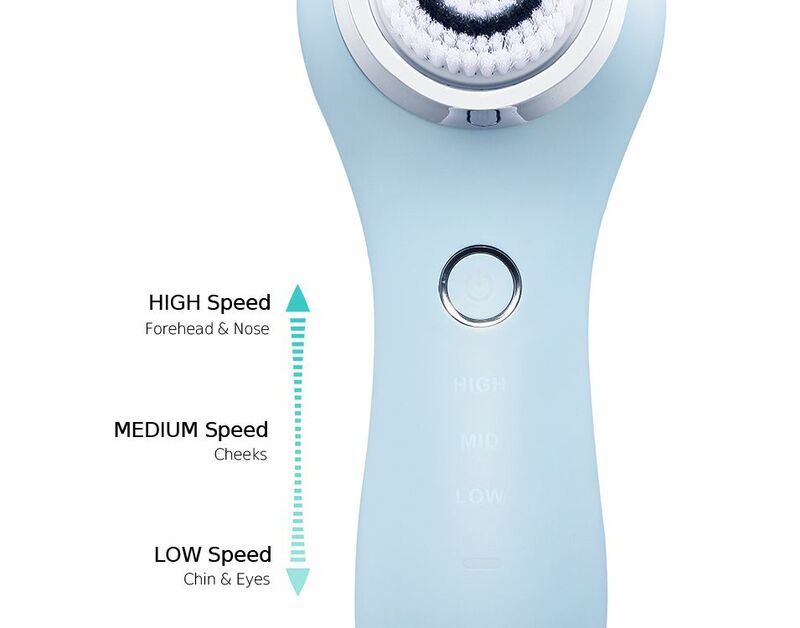 Deep cleanses face with 15,000 sonic vibrations, which automatically provides optimal speed and timer for different facial zones, to completely remove makeup and impurities but not over cleanse. 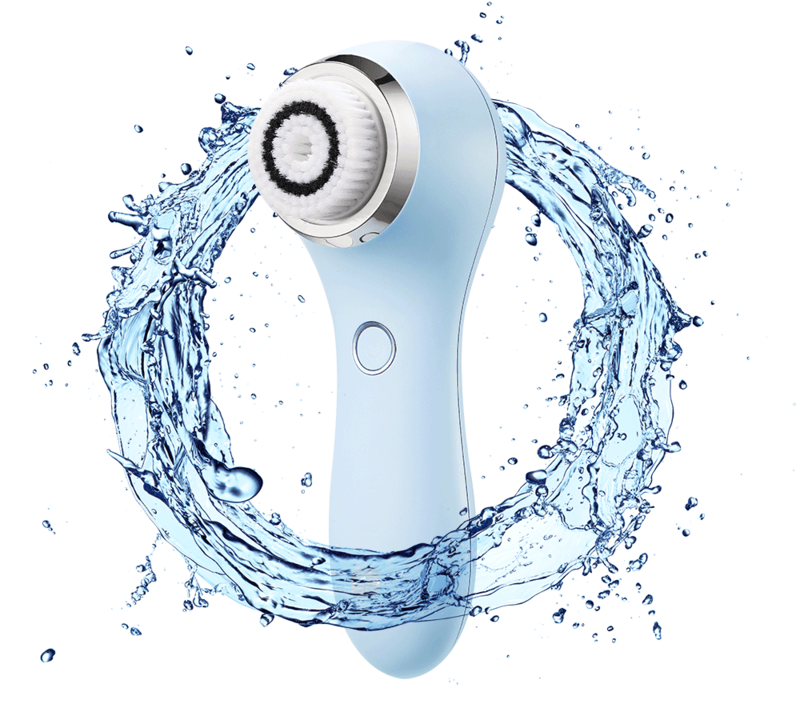 The best facial cleansing methodology with 15,000 gentle sonic vibrations per minute, which effectively flush any type of residual makeup, trapped oil, dirt, and impurities out of your pores. 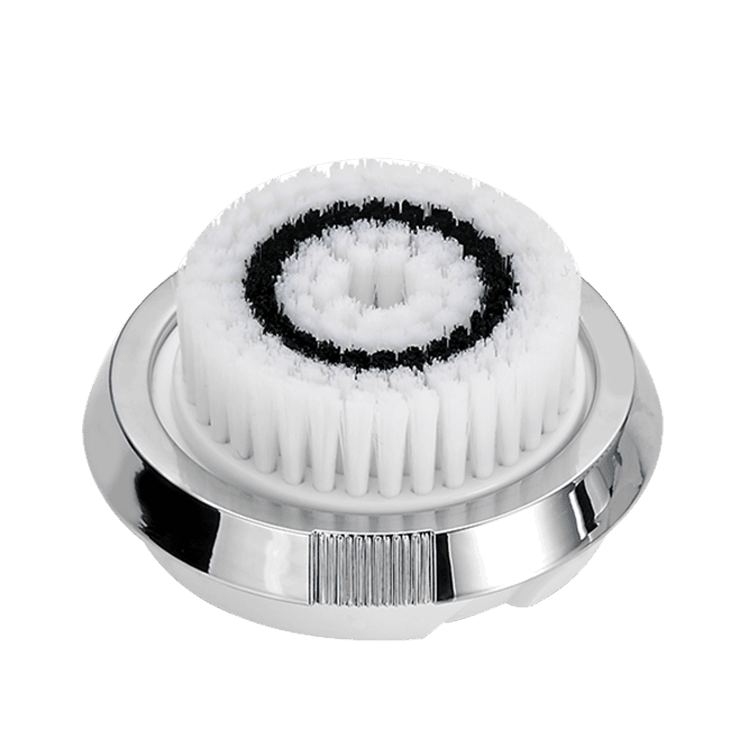 Giving you superior cleansing results than using just your hands or a harsh circular motion brush. The built-in Smart Regime automatically provides suitable speed and timing alerts for different areas: 6 sec high speed on forehead and nose, 5 sec middle speed for cheeks, 4 sec low speed for chin and 2 secs low speed for eyes. Simply follow the reminders that perfectly cleanses your skin and prevents from over cleansing. Industrial IP67 design (1 meter under water for 30 mins) allows you to safely use it during a shower. The MC200 can be charged by a standard USB cable connected to the charging dock . Helping you to avoid the hassle of replacing batteries and bringing you a clean convenient place to keep and store your device whilst it charges. 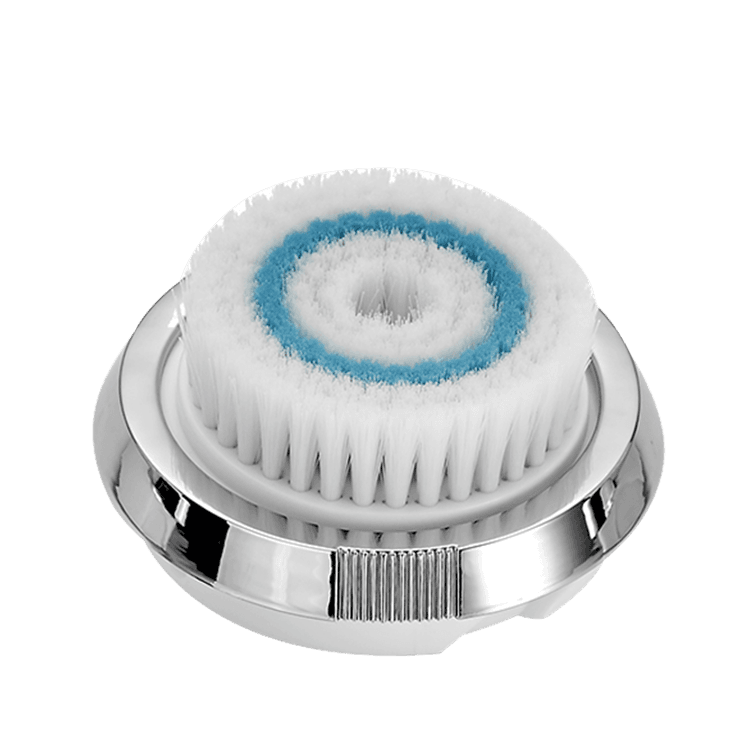 Routinely clean your face with the daily brush head or deep cleanse once a week, with the deep cleanse brush. Clean and rinse the brush thoroughly after use. Replace the brush every 3 months for best results. 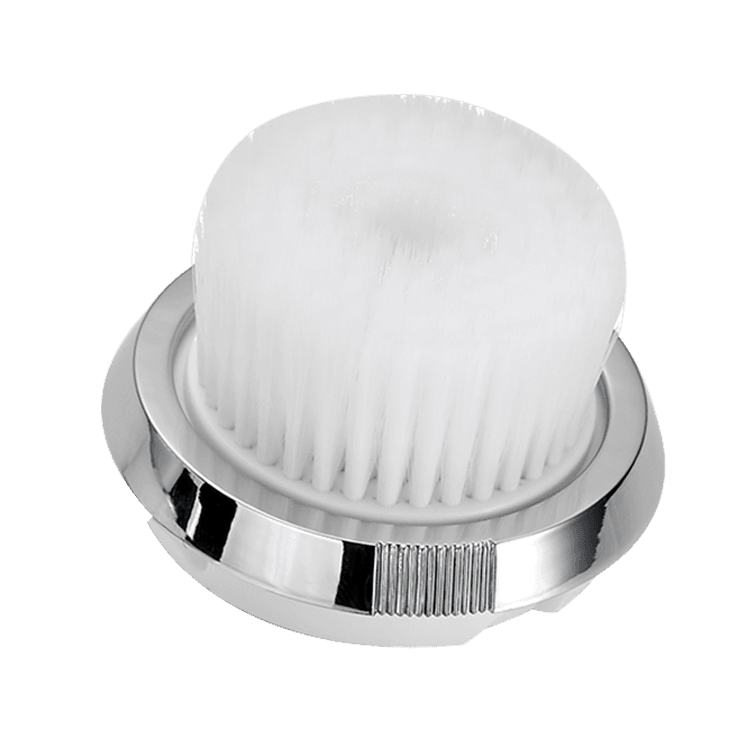 The optional brush heads for body or sensitive skin offer an all over beautiful skin result , you can also share the device among family with only having to swap the brush head for each user. 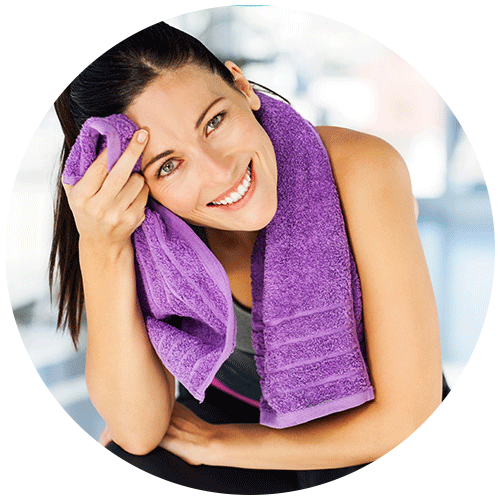 Removes the build up of impurities caused by sweat and pollution during the day. Get a clean, fresh look in the morning and wash away the daily grime at night. Deeply cleanses the skin and eliminates hard to remove makeup residue. Look youthful every day with or without make up. 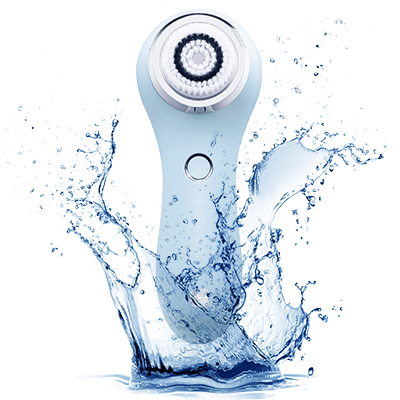 Sonic vibrations drive water into the pores to flush out trapped dirt, oil and dead skin to alleviate clogged pores. See your skin restored to its natural healthy glow. *Battery life may vary upon individual usage time.